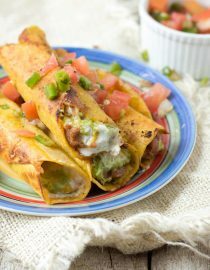 7 Layer dip is a favorite but these deep fried 7 layer dip taquitos take it to a whole new lever. Refried beans, guacamole, sour cream, & cheese! I have no words to thoroughly describe this deliciousness, but let me try. 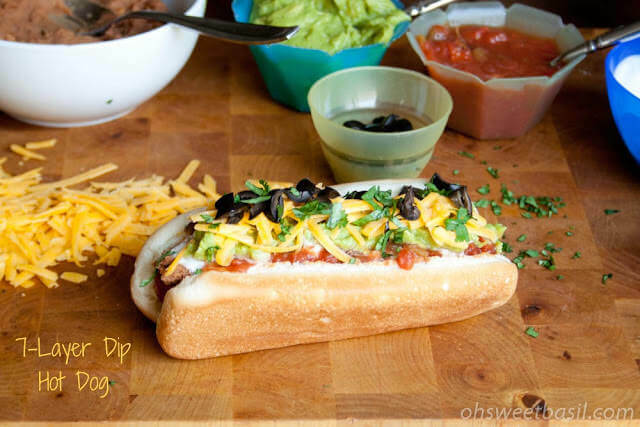 A few bloggers were recently asked by Old El Paso to create something new and delicious with their Old El Paso Traditional Refried Beans. 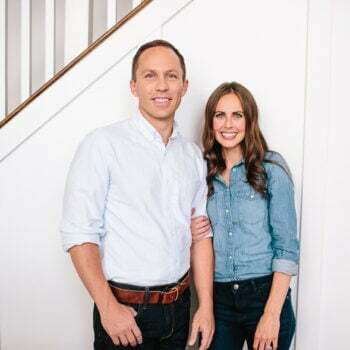 We love Mexican food, and the husband and I immediately started throwing out ideas. We mentioned a few to our family to see what they wanted to see most, and my brother in law, Steve mentioned a twist on my taquito idea-7 layer dip taquitos. Oh what?! HECK YES. Wrap tortillas in a kitchen towel and heat in the microwave for 1-2 minutes, until they are soft enough to roll easily. Keep them wrapped as you work. 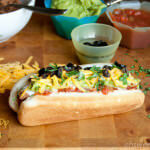 Place about 2 tablespoons of the meat mixture on one side of a tortilla and roll it tightly into a tube-like shape. Secure with 1 or 2 toothpicks. Everyone loves 7 layer dip. It’s all over the blog world, internet, pinterest, recipe books and March Madness recipe line ups as well as every college football games, the Super Bowl, and every cinco de mayo party. Can You Make Taquitos With Flour Tortillas? Taquitos are traditionally made with corn tortillas, however you can use flour tortillas, which are much more pliable, and thus easier to roll. Anyway, on to the important stuff. These little taquitos are slam packed with flavor. 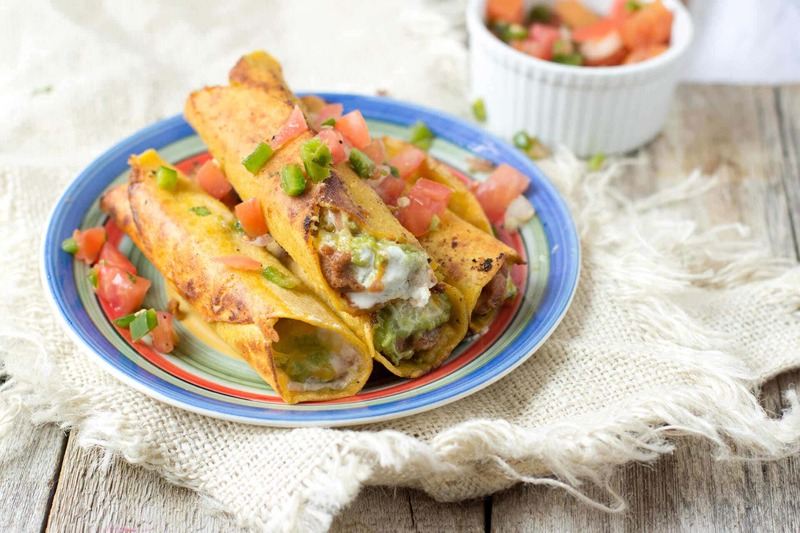 The refried beans have a little cumin and chili powder for extra flavor, cool and creamy sour cream and the bomb diggity that is Guacamole, then everything is topped with colby jack cheese, wrapped up and fried to a crunch, gooey, oozy perfection. And then dip those suckers in a fresh pico de gallo. I promise it’s the way to do it. It adds a little punch of freshness and bright flavor to the taquitos. Trust me. Did you just die? I know I did and I just had one hours ago, but I’m ready for another. What is 7 Layer Dip? 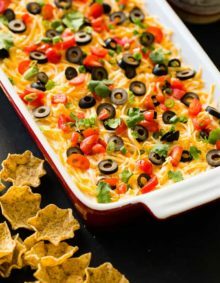 Mexican 7 Layer Dip is basically the same everywhere, refried beans- typically pinto, guacamole, sour cream, cheese, salsa or tomatoes, olives and green onions. In a medium bowl, combine the refried beans, cumin and chili powder, stirring well. Place one tortilla on the hot skillet, allow to cook for a couple seconds, carefully turn the tortilla and cook on the other side, remove to a plate. The tortilla should be flexible now. Cover with a heavy towel or tinfoil to keep warm and pliable or work on one taquito at a time. 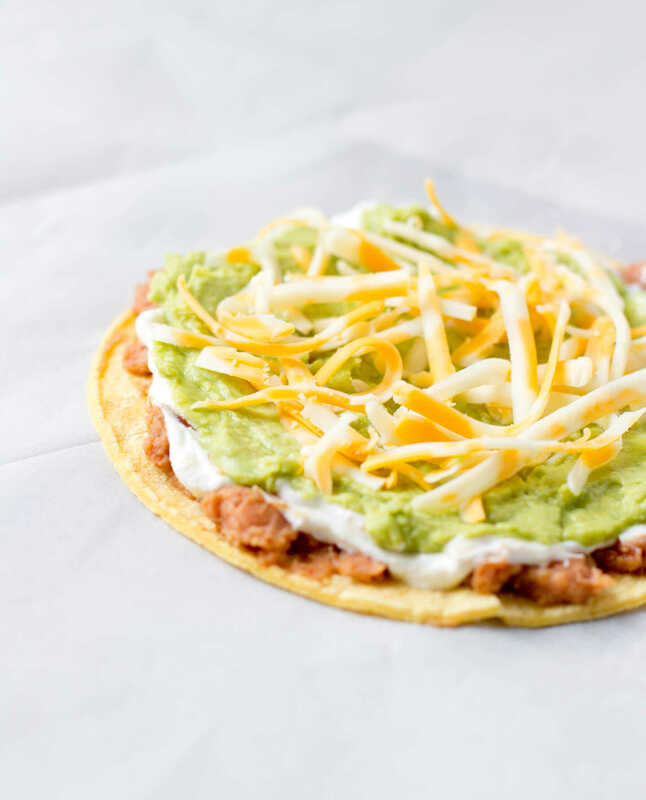 Lay one cooked tortilla on a plate and spread a thin layer of the refried bean mixture, sour cream,guacamole and finally a sprinkling of cheese. You made add olives now, with the pico or skip entirely. Tightly roll the tortilla closed [b]see note[/b] and set aside. Heat a medium skillet to medium heat and add the oil. When the oil begins to shimmer add the taquito, seam side down and cook for 15-30 seconds or until turning golden brown, flip to each side of the taquito allowing each side to brown and then set on a paper towel lined plate. Serve with fresh pico de gallo. If your corn tortilla is cracking you have either not gotten it hot enough in the pan or allowed it to cool. 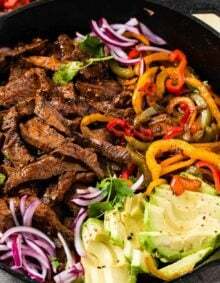 *I’m in a working relationship with Old El Paso, however this recipe and opinions are my own. oh my word- these are right up my alley! yummy! Thank you so much for all the awesome recipes. Looks like I will be busy . Thank you Linda! These comments are so fun for us to get. Check back in when you can! Oh my WORD, Carrian! 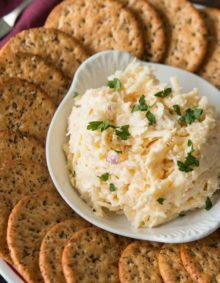 First of all, I am a total dip fiend, and whenever I’m around any kind of dip (7 layer happens to be one of my all-time faves!) I inhale it and am prone to elbowing people out of the way so I don’t have to share. I can get kind of intense 😉 anyway, stuffing the dip into taquitos is genius! They look SO indulgent and delicious. 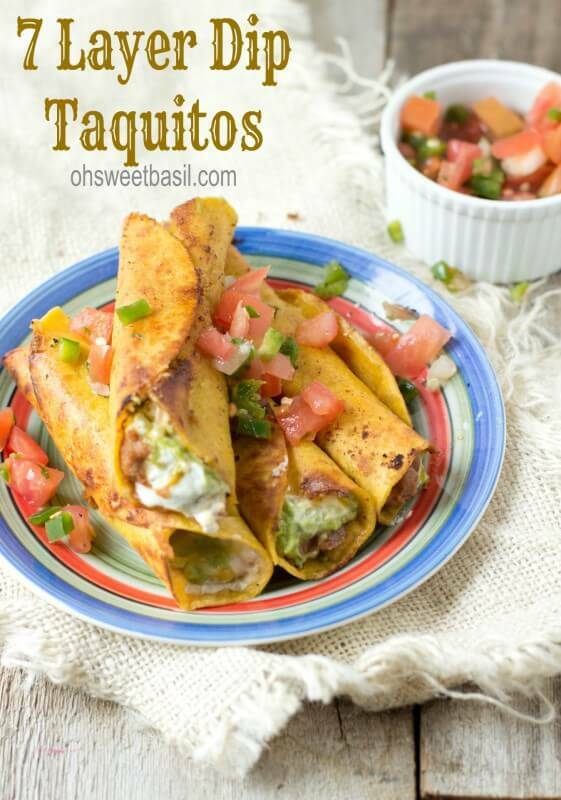 These taquitos look incredible! I’m feeling mega hungry now! woohoo!!! You just totally made my day. I still get so giddy over these comments. Shoot! now all I can think about is 7 layer dip and Mexican…it must be a sign! I need Mexican for dinner pronto!!! do iiiiiittttt! You wont regret it! You are a genius. Just sayin. I love 7 layer dip! These look so good. Let’s seriously go eat together @ La Costa!! Oh boy! I was already craving Mexican food… and now!!! Well I might just have to indulge! You had me at 7 layer! 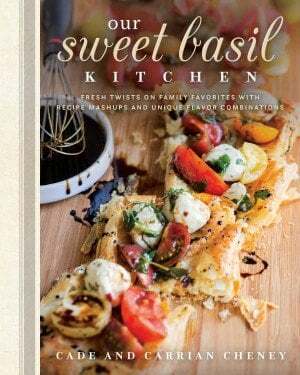 I’m going to have to make this and Deborah’s smothered burrito for dinner tonight! Mexican food is all I can think about now! I bet you have awesome latino food in Florida! I hope these can keep up with all of that. I’m pretty sure these is what they serve in Mexican Heaven! Holy cow, this sounds awesome!!!! oh, and I didn’t! YUM! WOW. What a great idea! I LOVE Mexican food! I adore taquitos and these are calling my name!! Deborah, we should have a mexi lunch together sometime! 7 layers and deep fried? Girl if I make this for my husband he will literally fall in love with me all over again. Thank you in advance for that! Yes everyone loves 7 layer dip but making it into a taco is WAY BETTER. Oh YUM. I can’t decide what’s my favorite part — the seven layers or the deep-friedness! So much deliciousness.